Savings bonds can be gifted to friends and relatives. The Bureau of Public Debt, a department of the United States Treasury, issues debt securities such as notes, bills and bonds to raise capital for the federal government. In addition, a division of the bureau issues and services U.S. savings bonds. Both Treasury bonds and U.S. savings bonds are popular investment products, with Treasury bonds trading in the public markets daily during market hours. The two types of investments have some commonalities and several differences. A type of capital market investment, Treasury bonds are originally sold at auction four times per year and sometimes traded in the secondary market at the investor's discretion. The same bond can be bought and resold by different investors multiple times before maturity. Savings bonds are not sold on any set schedule. Instead, investors can buy them throughout the year, although there is a limit as to the total amount one investor may purchase per calendar year. Savings bonds must be purchased directly from the Treasury through an online account or through an authorized agent such as a bank or other financial institution. Savings bonds are registered in the investor's name and payable to the bondholder upon maturity. Series I Savings Bonds can be purchased with a U.S. income tax refund. Investors can purchase anywhere between $100 and $5 million in Treasury bonds at auctions. Savings bonds are sold in denominations beginning at $25 and can be purchased in increments up to $5,000. 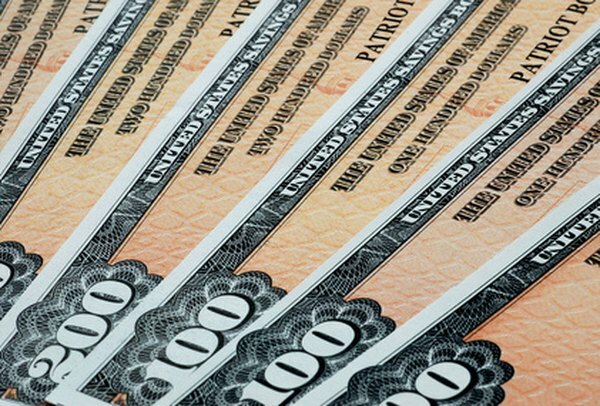 Paper I Bonds can be purchased in seven denominations at face value, beginning at $50, according to TreasuryDirect. The other six denominations are $75, $100, $200, $500, $1,000 and $5,000. The EE Savings Bonds can also be purchased in penny increments for any amount of $25 or more up to the annual purchase limit of $5,000. For example, an investor can purchase a savings bond for $25.50 if wanted and make the purchase electronically. Interest on both types of bonds is exempt from state and local taxes, although subject to federal taxation. Treasury bonds earn a set rate of interest, determined at the time of the auction, varying relative to current market rates. The Treasury also sets interest rates for savings bonds, but this is done on a schedule twice each year. Savings bonds earn monthly interest that is then compounded semiannually. Treasury bonds are issued with maturities of 30 years. Because the bonds are regularly traded in the secondary markets, Treasuries are highly liquid investments. Conversely, savings bonds cannot be bought and sold between private parties. Securities issued by the U.S. Treasury carry little to no risk because they are backed by the full faith and credit of the federal government, which has the power to tax and the ability to borrow from other sources. However, due to their long-term maturity dates, Treasury bonds are subject to interest rate risk unless held until maturity. Savings bonds do not have to be held to maturity. The investor can cash a savings bond 12 months after purchase but is penalized three months of interest for doing so if the bond has not been held for five years. A bank will redeem them at the current cash value. With Treasury bonds, interest payments, called coupons, are paid to the bondholder semiannually, and the principal payment is made at maturity. Bondholders can sell Treasuries anytime if a buyer is available.